Illustrator, author, graphic designer, and cupcake connoisseur, Mike Curato visited Carrollton on Monday, November 12. National best-selling author, Jordan Matter visits the Junior High. 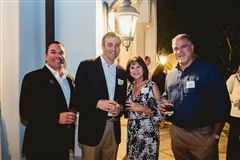 The community of Carrollton School of the Sacred Heart gathered together to celebrate its successful efforts in raising funds towards the institution’s prior year’s Annual Giving. 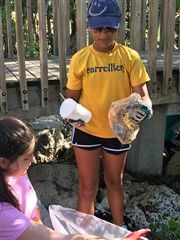 This past Saturday, in the spirit of St. Rose Philippine Duchesne, Carrollton joined all Sacred Heart schools worldwide in a Global Day of Service. 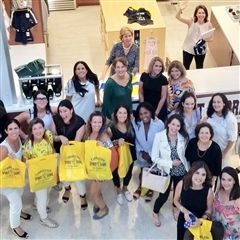 At the start of the academic year the Carrollton Spirit Store held a Wine & Cheese Shopping Reception for the school's alumnae. 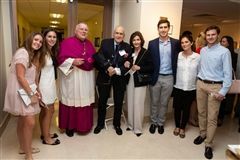 Carrollton celebrated the completion of the Maria Dolores and Maurice R. Ferré Convocation Center, the last building of the Master Plan, with a blessing by the Most Reverend Thomas G. Wenski, Archbishop of Miami. The IB Design Technology classes attended a field trip last week to the Dr. John T. Macdonald Foundation Biomedical Nanotechnology Institute at the University Of Miami (BioNIUM) at their Life Science Technology Building. A Global Health Equity Symposium sponsored by Carrollton School of the Sacred Heart and its Network of 24 schools across the United States and Canada is taking place on Carrollton’s campus this week. 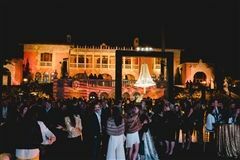 The series of events celebrating the opening of the Maria Dolores and Maurice R. Ferré Convocation Center culminated with the first art installation in the newly built gallery space. For the 6th consecutive year, Carrollton joined other Network of Sacred Heart schools to host our annual Hearts for Haiti bake sale and dress down day. Started in 2012, by Carrollton alumna Molly Nuell '12, the bake sale has supported the construction and operation of the school Notre Dame de Lacolline in Lacolline, Haiti. 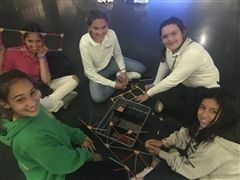 The 6th-grade students journeyed to Cape Canaveral for their Kennedy Space Center Overnight Adventure. In a two-for-two outcome, Carrollton won another First Place in a Fairchild Challenge. 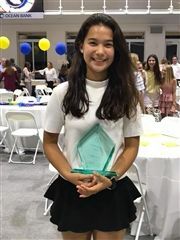 Carrollton is proud to share the exciting news that one of our sophomore students studying Chinese, Gabriela Garity ‘20, has won a Department of State Scholarship to go to China this summer. 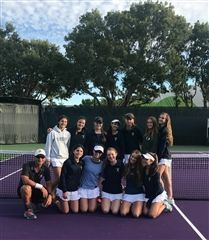 The Varsity Tennis team is gearing up to enter the District Tournament undefeated! 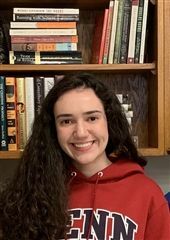 The High School welcomed feminist theologian Dr. Natalia Imperatori-Lee to conclude the Community Read Series: We Should All Be Feminists, which started last November. Carrollton’s High School Drama Production of The Lion King was a spectacular show performed this March 7th, 8th and 9th. For its 56th anniversary celebrations Carrollton hosted a weekend for the ages. On Saturday evening, January 27th, hundreds of alumnae came together to honor the 50th anniversary of the class of 1968, as well as the other reunion years ending in years 3 and 8.